I read this book a few years ago and found it utterly inspiring. Seth Stevenson and his wife embarked on an epic journey – with a twist. Not only did they decide to cash in their 9-5 lives in exchange for an adventure that would take them around the world, but they set off to circumnavigate the globe without ever getting on an airplane. 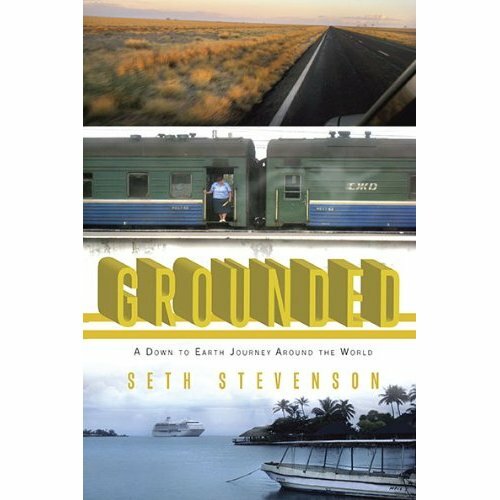 Seth has something of an aversion to air travel – and although I spend almost as much time on planes as off of them – I am of like mind. The pace of travel by train or ship, or bike or foot, connects you to the getting there part of the journey in a way air travel does not. I loved getting lost in their stories. From turning to vodka to blot out the atrocious conditions in the common sleeping area of the Trans-Siberian Railway, to the trying task of filling the many slow days aboard a cargo ship, I was hooked from page one. I also learned a lot about the places they went and the modes of transportation they used to get there. If you need a good read to pack in your carry-on or if you are looking for some inspiration before your next trip, this one might be for you.